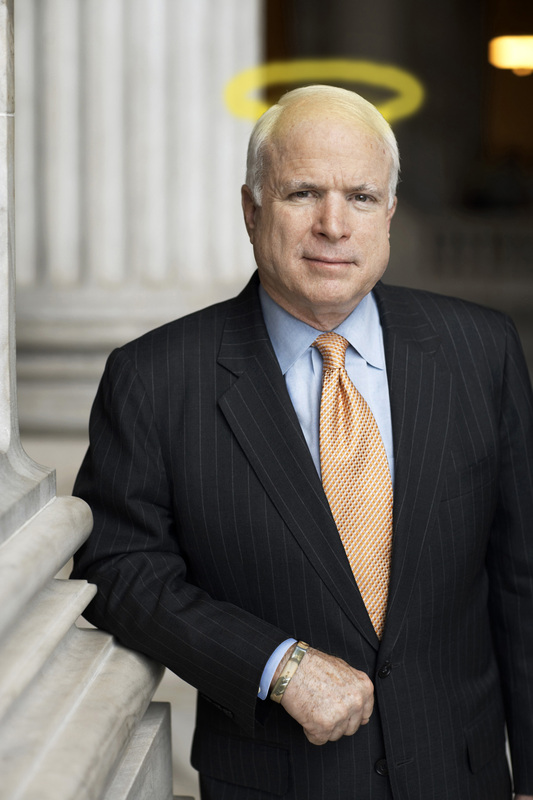 John McCain: I will be back! Don’t sleep, you filthy scumbags – I will be back! I am John McCain and I approve this message. whether Obama’s grandmother died or not: don’t forget that his aunt was an illegal alien and that he tried to bring his whole Kenyan tribe illegally into the USA to outnumber us and get elected illegally. Who knows if his grandmother was not an alien, too. Tonight I will be declared president elect. I thank all Americans who voted for me. Those who did not will regret it. Those who did not yet vote for me shall not forget that it’s called The White House. After my inauguration I will send that black Obama guy to his Muslim friends to Guantanamo and finish Iraq AND Iran. And I will raise taxes only on those Americans who voted against me. Our black citizens will get the place in our society that they fit in. I promise to all Americans that I will bring back the good old times until 2016. After my second term Sarah Palin will be ready to serve you for the years after. Watch my victory speech tonight on TV. This is just outrageous: API and FOX News are hiding the Michelle Obama-tapes. I asked those bastards several times to release the secret tapes but those communist bastards refuse to comply. I was able to obtain a fraction of that tape and I am publishing it here for you, my fellow American voters. Look it up here. I demand that these tapes are released now by FOX News which always claimed to be my friends. It’s our nature: we Republicans are clever and the stupid Dems are just weaklings. They just talk – we act. But maybe it was that tall president Nicolas Sarkozy of Russia. Or chancellor Horst Köhler of the United Kingdom. As an expert in foreign policy I meet so many important kings and presidents all the time.